Nothing gives me more pleasure than knowing that in 4 or 5 years, on this very day, Amy will be on the phone with me b$tching about the Elf on the Shelf! 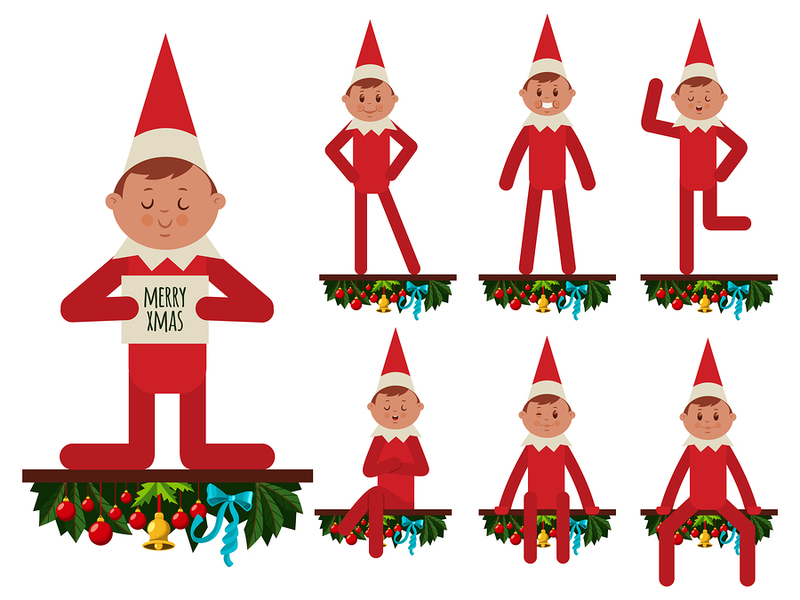 Both of my kids: Amy and Matthew were very evolved children…one could say they were ‘ahead of their time’ Elf on the Shelf had not been invented yet when they were young and admittedly, neither child REALLY believed in Santa Claus. But……they did believe in a stupid elf and they would make a bed for it out of a matchbox and leave a letter for him/her. Thankfully they dropped that Elf like a bad habit and I was never forced to prop it up on weird places overnight like parents do now.